South Africa and Pakistan will play a three-Test series from Friday 1 February 2013 to Tuesday 26 February 2013, with the games taking place in Johannesburg, Cape Town and Centurion. The series is one to which cricket fans are looking forward because it brings together the world’s number one- and number four-ranked sides, with South Africa leading the way on an International Cricket Council Test rating of 124 points and Pakistan not all that far behind on 109. There are some countries in which Pakistan has not played a Test match for even longer than its home nation. And South Africa is one of them, with Pakistan not having played a five-day game in the republic since 2007. None of Pakistan’s bowling attack knows what it is like to play a Test in South Africa, although the bouncy pitches ought to suit them. Bookmakers have installed South Africa as the hot favourite for the three-Test series, which is hardly surprising given its ranking as the world’s top team and Pakistan’s previous results in the republic. South Africa has won six of its nine Test matches at home to Pakistan, with those half a dozen wins producing three series successes and one draw. And the deeper that one digs the stronger that one feels that South Africa has an excellent chance of sweeping Pakistan 3-0 and extending its lead over England at the summit of the International Cricket Council Test rankings. Bowling is what wins Test matches – sides have to take 20 wickets at a reasonable rate to stand any chance of winning five-day games – and South Africa has the best attack in the world. Dale Steyn and Vernon Philander are ranked number one and number two respectively, with Morne Morkel in eighth spot. No other team has three bowlers in the top 12, with Pakistan’s finest coming in at numbers three, 11 and 19. South Africa’s lack of a really top-class spinner makes them vulnerable away from home – particularly on Asia’s dusty pitches – but it does not matter so much in the republic because the conditions favour seam bowlers such as Steyn, Philander and Morkel. South Africa has won its last three home matches by 10 wickets, an innings and 27 runs and an innings and 193 runs and it has not tasted defeat in any of its last dozen games irrespective of venue, winning series in Australia, England and New Zealand during that period. The key to the matches between South Africa and Pakistan will not be how the home side’s batsmen handles the away team’s bowlers but how the away side’s willow wielders respond to the challenge of the home team’s fast men. Although Pakistan’s bowling line-up is worthy of respect – Saeed Ajmal would walk into any Test side, while Umar Gul, Mohammad Irfan and Junaid Khan are not mugs – one would bank on South Africa’s batsmen scoring competitive totals against them. South Africa has four of the top-ranked dozen batsmen, including the freakish talents Hashim Amla (ranked second), AB de Villiers (ranked sixth) and Jacques Kallis (ranked seventh). Rarely does South Africa’s batting fail to fire. Pakistan’s batting is a lot more flaky, with only three men in the top 30 and even those ranked highly – Younus Khan is ninth, Azhar Ali is 11th and Misbah-ul-Haq is 13th – prone to off days. South Africa’s pace attack is going to ask a lot of questions of Pakistan’s batsmen and the jury is out as to whether the tourists will be able to handle the combination of speed, bounce and sideways movement. Johannesburg’s New Wanderers Stadium will stage the First Test between South Africa and Pakistan, getting under way on Friday 1 February 2013. South Africa has won only 13 of its 33 matches at the ground, although it is due a victory there having gone loss-win-loss-win-loss-win-loss since 2006. Fast bowlers have been named man of the match in each of the last five New Wanderers Stadium games, with the honours going to Shanthakumaran Sreesanth (India), Steyn, Mitchell Johnson (Australia), Morkel/Steyn shared and Pat Cummins (Australia). So one can expect a seam-friendly pitch. Newlands in Cape Town will be the venue for the Second Test between South Africa and Pakistan, starting on Thursday 14 February 2013. Appropriately for Valentine’s Day, South Africa loves playing at Newlands, with seven victories and three draws in its last 10 appearances at the venue. There have been some very low scores in Cape Town matches recently, including New Zealand’s 45 all out in the first innings of the 2013 New Year’s Test. Kallis and Philander have shared the last four man-of-the-match awards at the ground between them so one could say they like the joint. The Third Test between South Africa and Pakistan is set for Centurion’s SuperSport Park, beginning on Friday 22 February 2013. South Africa has won 13 and drawn three of its 17 games in Centurion so the home side will be confident. It is worth noting that SuperSport Park has been somewhere that many of crickets second-tier nations have faced South Africa so the home team’s record may be a bit inflated. 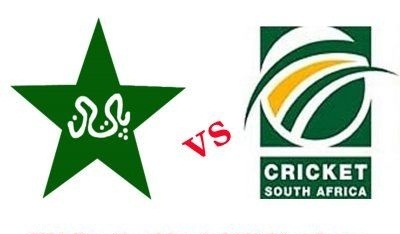 With South Africa appearing to hold the aces and the last 30 Tests at New Wanderers Stadium, Newlands and SuperSport Park producing only five draws, one should look to back the home side to beat Pakistan 3-0, which is available at around 7-2. Stretched over five action-packed winter weekends, the Six Nations Championship is Europe’s top annual international rugby union tournament. Formerly known as the Home Nations Championship and the Five Nations Championship, it became the competition that one knows today in 2000 when Italy joined England, France, Ireland, Scotland and Wales. Neither Italy nor Scotland has experienced Six Nations Championship glory, with the 13 titles being divided among France (five victories), England (four victories), Wales (three victories) and Ireland (one victory). One has to go back to 1999 for Scotland’s last tournament success and, of course, Italy is still trying to break its duck. Wales won the 2012 Six Nations Championship and did so in fine fashion, winning all of its five matches – England 19-12 in London, France 16-9 in Cardiff, Ireland 23-21 in Dublin, Italy 24-3 in Cardiff and Scotland 27-13 in Cardiff – to secure not only the official title but also the unofficial Grand Slam and Triple Crown honours. All Six Nations Championship teams dream of a Grand Slam, which occurs when a side wins all of its games during one year’s competition. Since 2000, there have been eight Grand Slams, with France (three times), Wales (three times), England (once) and Ireland (once) achieving the feat. 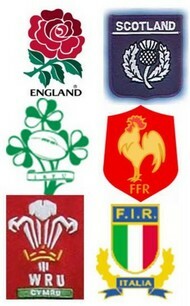 Only England, Ireland, Scotland and Wales are able to do a Triple Crown because it is exclusive to the four so-called home nations. Ireland has won more Triple Crowns than any other team since 2000 – it swept its matches versus England, Scotland and Wales in 2004, 2006, 2007 and 2009 – but its Six Nations Championship record indicates that France and Italy have proved very difficult obstacles to overcome. The Six Nations Championship suffers from draw inequity, with the sides not playing each other home and away. There is insufficient space in the European rugby union program for the Six Nations Championship to comprise 10 games so, every year, three teams have three home matches and three sides have three away games. It is unfair but that is the reality of the situation and nothing is going to change. For the 2013 Six Nations Championship, England, Italy and Scotland will have three home matches, whereas France, Ireland and Wales will have three away games. Crucially, England will host France in what has become known as Le Crunch. Of the Six Nations Championship heavyweights, the draw in odds-numbered years works in favour of England and against France. England’s home matches are versus France, Italy and Scotland, while France’s home games are against Scotland and Wales. Ireland and Wales have only two home matches but at least they are versus two big guns, which mean that they are less inconvenienced than France. Bookies are split on who will be lifting this years six nations trophy? At first glance it may seem outrageous to suggest that Wales could go from first in 2012 to last in 2013 but there is a very real possibility that the Six Nations Championship title holder could go from hero to zero in 12 months. Wales lost all four of its home games during the autumn and, while there was no shame in losing 12-14 to Australia and 10-33 to New Zealand, the same cannot be said for losing 12-26 to Argentina and 19-26 to Samoa. And while it is a little churlish to knock Wales for how it won the 2012 Six Nations Championship, it did so with a points difference of just plus 51, pretty low for a Grand Slam-winning team. Confidence in the Wales camp is low, several of its star players are either injured or carrying knocks and the 2013 Six Nations Championship draw sends it to France, Italy and Scotland. Italy and Scotland in Cardiff would likely be regulation victories for Wales. Away from home is another story and interim Wales coach Robert Howley knows it. The International Rugby Board’s world rankings on the eve of the 2013 Six Nations Championship indicate why some punters have snapped up the early odds of 33-1 and 25-1 about Wales winning the wooden spoon for the first time since 2003. The title holder is a marginal favourite for its opening match against Ireland in Cardiff, a game that if it loses may result in it being the underdog in Edinburgh and Rome. Several bookmakers are still offering 20-1 about Wales going from first to last and those odds are too big to ignore given the circumstances facing the defending champion. Buoyed by its 38-21 Twickenham triumph over New Zealand in December 2012 and aided by the 2013 Six Nations Championship draw, England is the best bet to win the tournament at odds of around 2-1, although one could make a decent argument for backing both England and France and getting better than 1-2. England and France look head and shoulders above their 2013 Six Nations Championship rivals, with neither Scotland nor Italy having a realistic hope and the odds of both Ireland and Wales artificially low because bookmakers are worried about laying them, particularly Ireland, at fancy prices. Ireland may have only two home matches but they are versus England and France so one would have to say that Declan Kidney’s side will be right in the betting in each of its 2013 Six Nations Championship games. But will Ireland win a sufficient number of matches to take out its first title since 2009. The International Rugby Board’s world rankings suggest that, while Ireland will probably be competitive every time that it takes to the field, it is most likely to win only two games – its matches against Italy and Scotland. The National Hockey League has come a long way since it was founded in November 1917 by four Canadian clubs – Montreal Canadiens, Montreal Wanderers, Ottawa Senators and Quebec Bulldogs – fed up arguing with Eddie Livingstone, the boss of National Hockey Association team Toronto Blueshirts. 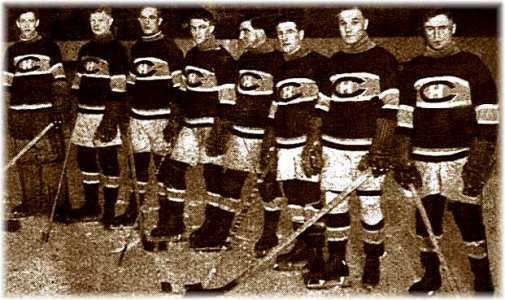 The first National Hockey League season featured only four sides and one of them, the Montreal Wanderers, withdrew six rounds in after their area was burned to the ground. It was not until the late 1960s that the National Hockey League grew behind little more than a handful of teams, with the numbers rising steadily to the 30 sides operating today. The 2012-2013 National Hockey League season will be the 95th edition of the world’s premier ice hockey competition but it will be unlike all bar one of them. That is because a pay dispute delayed its start by more than three months, leaving National Hockey League officials scrambling to piece together a regular season comprising 48 rounds. The same thing happened in the 1994-1995 National Hockey League season when a total of 468 games were lost due to a three-month lockout, with the All-Star Games also failing victim to the disagreement between owners and players. Punters who believe in omens may want to back New Jersey to win the 2012-2013 Stanley Cup since it was the Devils that won the post-lockout Stanley Cup championship 18 years ago, sweeping Detroit 4-0 in the best-of-seven-match series. Pittsburgh will start the 2012-2013 National Hockey League season as the Stanley Cup favourite because of one guy: Sidney Crosby. The Next One says that he is completely healthy again and, if so, the 29 rivals of his Penguins could be playing for minor honours over the coming months. Crosby is the finest ice hockey player of his generation. Period. Drafted first overall in 2005 by Pittsburgh out of the Quebec Major Junior Hockey League, Crosby finished his freshman National Hockey League campaign sixth in scoring with 102 points from 39 goals and 63 assists. Crosby topped the National Hockey League scoring chart in his superb sophomore season, his 36 goals and 84 assists earning him the Art Ross Trophy. Also, Crosby collected the Hart Memorial Trophy and the Lester B Pearson Award for his performances. Crosby was named Penguins captain going into his third National Hockey League campaign and he celebrated Stanley Cup glory at the end of his fourth, becoming the youngest winning skipper in the competition’s history. The Vancouver 2010 Winter Olympic Games were a triumph for Crosby, scoring Canada’s gold medal-winning goal in overtime against the United States of America, and he starred for Pittsburgh throughout his fifth National Hockey League season. But everything started to go wrong after that. Crosby sustained a concussion as a result of blows to his head in back-to-back games during the 2010-2011 National Hockey League season, an injury that ruled out the centre for more than 10 months. Crosby came back during the next National Hockey League campaign but he managed only eight matches before missing another four months. Hence why ice hockey fans are waiting to see if Crosby goes the distance throughout the 2012-2013 National Hockey League season. With the hype surrounding Crosby reaching fever pitch, the bookmaking fraternity have moved his Penguins to the top of the 2012-2013 Stanley Cup betting market, even though not even The Next One knows how his precious head will stand up to the knocks coming its way over the next few months. There is likely to be much better 2012-2013 National Hockey League value away from Pittsburgh and the side that appeals most at the ante-post odds is St Louis, with the Stanley Cup-less Blues available at around the 18-1 mark. St Louis was the Western Conference’s second seed for last season’s Stanley Cup Playoffs after taking out the Central Division with 109 points. The Central Division was the pick of the three Western Conference sections, with four of its five teams qualifying for post-season action. And the Blues made the Western Conference top four before losing to Los Angeles, the side that went on to win the Stanley Cup. Expertly prepared by Ken Hitchcock, St Louis is a relatively young team that has the potential to improve. And the Blues have an asset that could prove priceless when the games come thick and fast during the condensed 2012-2013 National Hockey League season: a brilliant goaltending tandem. With sides facing the prospect of playing on short rest many times as a result of the lockout that delayed the 2012-2013 National Hockey League competition, coaches will be almost forced to play their second-string goaltenders. Fortunately for Hitchcock, St Louis have two guns in Brian Elliott and Jaroslav Halak. Both of them are superb stop stoppers. Elliott and Halak registered a total of 15 shutouts between them during the 2011-2012 National Hockey League season, a tally that was sufficient to equal the modern record set by Chicago in 1969-1970. Elliott topped the regular-season charts for both goals against average (1.56) and save percentage (.940), while Halak ranked equal fourth for goals against average (1.97) and sixth for save percentage (.926). Some astute National Hockey League analysts are talking up the importance of good back-up goaltenders in the 2012-2013 competition because of the choc-a-bloc schedule. The Blues have the best goaltending tandem so back them at around 18-1 to end their long wait for a Stanley Cup championship. The 2013 Africa Cup of Nations is the biggest event on this year’s international football calendar, which just goes to show how far the tournament has come in recent times. Not long ago it was a competition about which only football anoraks got excited because it takes place during the height of the European season. But now everyone sits up and takes notice of the Africa Cup of Nations, not least the European club managers who lose their African stars for up to a month. That is the price that teams pay for signing African players, something that they did not do in great numbers as little as 10 years ago. 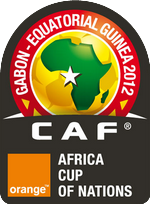 The 2013 African Cup of Nations will be the 29th edition of the event. The Confederation of African Football had awarded the tournament to Libya but later decided to change its venue to South Africa. The competition will kick off on Saturday 19 January and end on Sunday 10 February. Cote d’Ivoire, otherwise known as Ivory Coast, is the warm favourite to win the 2013 Africa Cup of Nations. Bookmakers are taking no chances whatsoever with last year’s runner-up trading at odds of under 2-1 to go one better this time. It makes sense that bookmakers favour the Elephants – according to FIFA, they are Africa’s top-ranked side and their 23-man squad includes Didier Drogba and the Toure brothers, Kolo and Yaya – but they are too short for a number of reasons. First, Cote d’Ivoire has a long history of choking at the business end of major events. For example, it qualified for the 2012 Africa Cup of Nations final without conceding a goal in beating Sudan, Burkina Faso, Angola, Equatorial Guinea and Mali but it lost 7-8 on penalties to Zambia in the championship match after a 120-minute goalless draw. Second, Cote d’Ivoire has been drawn in the strongest of the four groups and, if the ante-post markets are on the money, it will have a tough run through the knockout phase as well. According to FIFA, the Elephants have been put in the same round-robin section as the second-, sixth- and ninth-ranked teams, making it the Group of Death. And if everything goes to according to the odds, Cote d’Ivoire will have to defeat 2012 Africa Cup of Nations champion Zambia, 2013 Africa Cup of Nations host South Africa and 2010 FIFA World Cup last-16 qualifier Ghana in sudden-death action to lift the trophy. And third, bookmakers are quoting attractive odds about some of Cote d’Ivoire’s rivals for the 2013 Africa Cup of Nations title, odds that are out of whack with the current rankings. FIFA’s world ranking has its flaws – for example, few people would agree with it that England is the world’s sixth best team right now – but it is a much better guide than many people, including bookmakers, recognise and that means it has a tendency to throw up outstanding value bets. In terms of betting on the 2013 Africa Cup of Nations title winner, two sides stand out: Algeria and Mali. Algeria is, according to FIFA, Africa’s second best team by quite some distance and yet it is on the sixth line at odds of around 14-1. Mali is third in FIFA’s latest rankings and drawn well in Group B alongside Congo DR, Ghana and Niger, yet it is available at odds of around 16-1. One can dutch Algeria and Mali and get almost 7-1, which represents decent business compared to backing Cote d’Ivoire at less than 2-1. Of course, both Algeria and Mali are overpriced to win their respective 2013 Africa Cup of Nations preliminary sections but there are even better FIFA world ranking-driven bets. Cape Verde is FIFA’s highest ranked side in Group A of the 2013 Africa Cup of Nations, yet bookmakers are quoting it as the outsider at odds of around 14-1 for first position and 5-1 for the top two. No-one is expecting 69th-ranked Cape Verde to go all the way but FIFA rates it above Morocco (74th), Angola (84th) and South Africa (87th) and that must count for something. Certainly, it should be shorter odds. Once again, Paddy Power (www.paddypower.com) leads the way with a betting offer related to a major sports competition. Back a team to win the 2013 Africa Cup of Nations before the tournament gets under way and, if your selection bows out on penalties, Paddy Power will refund the first 100 British pounds or 100 euro of your stake. View Paddy Power’s easy-to-use website for the full terms and conditions of its special offer. Since the introduction of penalty competitions to the Africa Cup of Nations – they have been available for use since the 1978 tournament in Ghana – 21 teams have exited the event in the cruelest possible manner. A total of 98 quarter-final, semi-final or final games could have gone to penalties so one is talking about a 21.4 per cent incidence rate. With seven knockout matches laid down for the 2013 Africa Cup of Nations – one does not count the bronze medal game – history suggests that either one or two sides will suffer the fate. Paddy Power’s 2013 Africa Cup of Nations betting offer is not one of its best but it does provide a level of insurance provided that one is not taking under the odds to get it. Tennis players do not get a great deal of down time and the Australian Open, one of the four most important events on the sport’s annual calendar, gets under way not very long after they have finished eating their Christmas dinners. Just a few years ago there were serious discussions at the top level of tennis about moving what is known as the Grand Slam of Asia-Pacific not only away from January to either February or March but also away from Australia to another country in the region both closer to Europe for broadcast convenience and larger for commercial considerations. The Australian Open’s early start is the major reason put forward by tennis experts to explain why the tournament produces so many unexpected finalists, especially in the men’s singles event. Recently the likes of Marcos Baghdatis (2006 runner-up) Fernando Gonzalez (2007 runner-up) and Jo-Wilfried Tsonga (2008 runner-up) have made their names with deep runs on the Melbourne Park hard courts. Baghdatis, whose Cypriot heritage meant that he enjoyed huge support from the Australian Open crowds – more Greeks live in Melbourne than in any city except Athens – had a dream early draw but the unseeded showman had to beat Andy Roddick, Ivan Ljubicic and David Nalbandian in the fourth round, quarter-finals and semi-finals respectively to face Roger Federer in the final. Baghdatis stunned Federer by winning the first set but the Swiss superstar rallied to triumph 5-7 7-5 6-0 6-2 in the 166-minute title decider. Gonzalez was the number 10 seed but he did incredibly well to beat Juan Martin del Potro, Lleyton Hewitt, James Blake, Nadal and Tommy Haas from the second rounds onwards before losing 6-7 4-6 4-6 to Federer in the championship match. And Tsonga was unseeded in 2008 but that did not prevent the Frenchman eliminating Andy Murray in the first round, accounting for countryman Richard Gasquet in the fourth round, thrashing Mikhail Youzhny in the quarter-finals and crushing Rafael Nadal in the semi-finals. Like Baghdatis two years earlier, Tsonga won the first set of his final but Djokovic bounced back to prevail 4-6 6-4 6-3 7-6. But while there have been several surprise finalists since the turn of the century – one could add Arnaud Clement (2001 runner-up), Thomas Johansson (2002 winner), Rainer Schuttler (2003 runner-up) and, in the women’s singles, Li Na (2011 runner-up) to the list of impressive underdogs – the cream usually rises to the top and wins the Australian Open. Talking of the cream, Djokovic and Serena Williams will start the 2013 Australian Open men’s singles and women’s singles respectively as hot favourites. It is possible to build a case against Djokovic even though he has a superb draw – Murray is in the form of his life and now has the belief required to win major tournaments regularly – but there is no argument to be made against Williams. Quite simply, if Williams, who has won 15 Grand Slam singles titles and another 15 Grand Slam doubles crowns, produces anything approaching her best form then she will cruise to her fifth Australian Open women’s singles success. Williams has been almost unbeatable since she crashed out of the 2011 French Open women’s singles in the first round, the first time that she had not won a match in a major ever and she has been competing in them for 15 years. Williams has won 36 of her last 37 women’s singles matches, winning the London 2012 Olympic Games and US Open championships and warming up for the 2013 Australian Open by winning the Brisbane International without dropping a set. Indeed, Williams dropped only 17 games in her five matches. 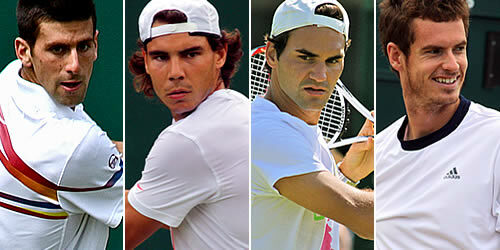 Note: You can check all the results from past ATP tour events here. So superior is Williams to the other 2013 Australian Open women’s singles participants that the draw really does not matter. According to the pre-tournament betting, bookmakers rate only Victoria Azarenka and Maria Sharapova as serious threats and Williams has the wood on both of them. Williams leads Azarenka 11-1 and she is up 10-2 on Sharapova. The only woman who can beat Williams is herself and that does not seem likely to happen given her recent performances. One will go a long way to find a better betting offer than the one available at top bookmaker Paddy Power (www.paddypower.com). 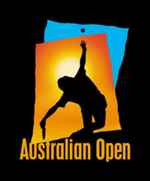 It is a cracker and means that one should consider placing all one’s 2013 Australian Open men’s singles match bets with either of the betting firms. Paddy Power will refund losing pre-match bets if the 2013 Australian Open men’s singles competitor whom you back loses in the fifth set. Of course, there are terms and conditions attached to the offer but the majority of punters will not breach the maximum refund limits. Exactly how good is the offer? Well, there are 127 men’s singles matches in a Grand Slam tournament. No fewer than 27 of the 2012 Australian Open men’s singles matches went to five sets, with the breakdown being 13 in the first round, eight in the second round, three in the third round, one in the fourth round, none in the quarter-finals, one in the semi-finals and the epic final between Djokovic and Nadal that the Serb won 5-7 6-4 6-2 6-7 7-5 in nearly six hours. Twenty-seven out of 127 equates to a percentage of 21.3 and, with the 2011 Australian Open men’s singles and the 2010 Australian Open men’s singles featuring 21 and 25 five-set matches respectively, the medium-term average is 19.2%. And it would be fair to say that most smart punters could weed out quite a few matches, particularly in the first round, that are incredibly unlikely to go the full distance. If one is backing anyone except British hero Murray to win the 2013 Australian Open men’s singles then BetVictor is the bookmaker to visit because it will refund all losing winner bets placed before the start of the second round, up to a maximum of 50 British pounds or currency equivalent per household, if Murray makes it two Grand Slam titles in a row. Unfortunately, BetVictor’s Murray Mint offer is restricted to punters resident in Australia, Austria, Germany, Greece, Ireland, Israel, Liechtenstein, Luxembourg, the Netherlands, Switzerland and the United Kingdom.